Smart, slim line marquetry pommel with bone inlay on the top. 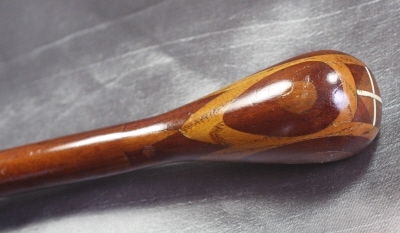 Base of the cane finished with original base metal ferrule. Good condition throughout, free from breaks or cracks.